The NBA is investigating whether there has been any contact between the Los Angeles Lakers and Australian All-Star Ben Simmons that violated the league's player tampering rules. A spotlight was turned on Simmons, the Philadelphia 76ers' star, and Johnson, the Lakers' president of basketball operations, after both admitted on the weekend moves had been made to work out with each other in the off-season. Johnson is under pressure to add one or two All-Star calibre players alongside LeBron James but attempts, including negotiations to trade for New Orleans Pelicans big man Anthony Davis, have failed. Johnson and the Lakers have already been hit with fines for breaching the NBA's tampering rules in regard to All-Stars Paul George and Giannis Antetokounmpo. "The league office is looking into whether any contact took place between Ben Simmons and the Los Angeles Lakers that violated NBA rules," NBA spokesman Mike Bass told ESPN. Simmons is regularly compared to Hall of Fame inductee and Lakers playing great Johnson because of their size and styles of play. The Australian is 208cm tall and Johnson is 206cm. 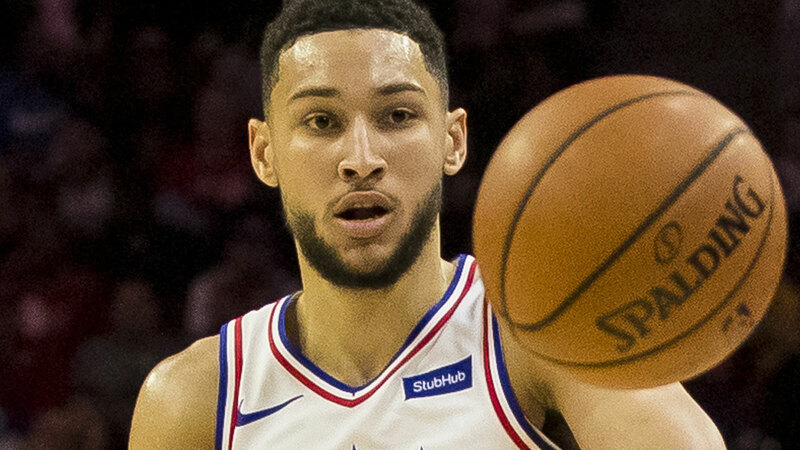 Simmons told reporters after the Sixers beat the Lakers on Sunday "trying to learn from somebody like that would be huge". Johnson said it was Simmons who contacted him. "Everybody, the Sixers sign off, we sign off, the league signs off that there's not nothing going on." Philadelphia general manager Elton Brand attempted to kill the controversy on Monday. Brand said Lakers general manager Rob Pelinka called him "and said that Ben wanted to talk to Hall of Famers after the season, Magic was on the list". "He asked for authorisation ... I said no," Brand told Philadelphia radio station 97.5 The Fanatic. "This was over a month ago." The 22-year-old Simmons is represented by Rich Paul of Klutch Sports, who also represents both James and Davis.